In a small bowl combine the paprika, salt, garlic and pepper. Brush both sides of chicken lightly with oil. Grill chicken over direct heat 10-12 minutes, turning as necessary. Let chicken rests 5 minutes before shredding. Add barbeque sauce and mix well. Toast rolls. Pile chicken onto rolls and top with slaw. In a large bowl whisk together the mayonnaise, vinegar, sugar salt and pepper. In a large saucepan combine all the ingredients except the ketchup. Cook uncovered until sugar is dissolved and all ingredient are well blended. Add ketchup and bring to a slow boil, stirring constantly. Reduce heat and simmer uncovered, stirring often (about 30 minutes) until dark and thick. The next day makes for a wonderful salad. It’s FOODIE FRIDAY over at RATTLEBRIDGE FARM and a great time for me to catch up on a few recipes that needed posting from the recently tried stack of Magazine Monday recipes and this week there were quite a few winners I must say. Combine spices until well blended. Sprinkle rub on both sides of chicken rubbing in well. Melt 2 tablespoons of butter over medium high heat. Cook chicken pieces until just done, about 4 minutes per side. Remove chicken pieces, keeping them warm. Add remaining butter and KNORR stock and hot water, whisking into drippings until well blended. Bring to a boil over medium high heat and simmer about 10 minutes until reduced by half. Whisk in the lemon juice and whipping cream until well blended. 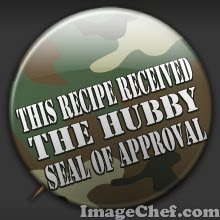 Reduce heat, simmering to desired consistency. Pour over chicken and mashed potatoes. Cook bacon until crisp, drain on paper towels. Add vinegar and sugar to bacon fat, being sure to scrape up all the bits on the bottom of the pan and cook until well blended. Remove from heat. In a large bowl add the potatoes and smash. Crumble the bacon over the potatoes. Pour the vinegar mixture over top and mix well. I also found that they now make refried BLACK beans – gotta tell you I’m loving these! Brown the hamburger and drain off the grease. Add 1/2 cup water and taco seasoning to the hamburger. Cook until liquid is absorbed. In a medium bowl mash together the refried beans, 1/2 the salsa and 1/2 the garlic. In another medium bowl mash together the refried BLACK beans, 1/2 the salsa and 1/2 the garlic. Spray a shallow pie pan with PURE. 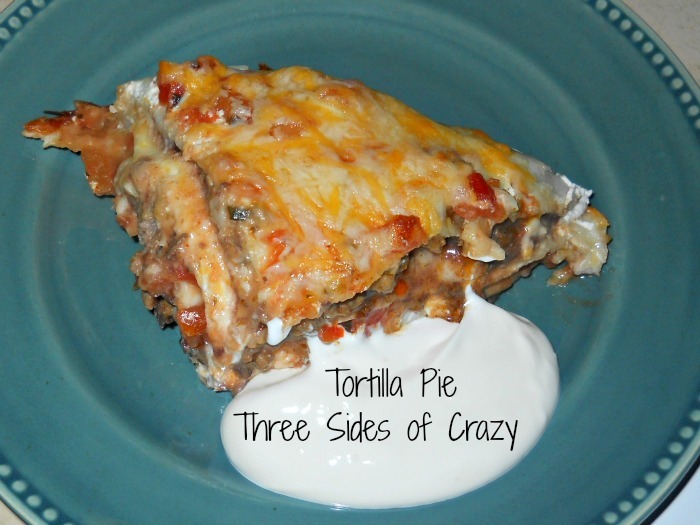 Spread a small amount of sour cream on a tortilla and lay in the bottom of the pie pan. Spread with one of the bean mixtures. Add another tortilla and spread with some meat mixture. Top with a thin layer of cheese. Repeat layers until you have about 7 or 8 layers. Bake 40 minutes. Uncover and bake 5 minutes until cheese is bubbly. Cut into wedges and serve with salsa and sour cream. Toss all together and enjoy with some garlic bread. I use the mini loaf pans and fill each one 2/3. Bake for 45 minutes or until top is crispy. Pour off excess fat before serving. Bake how ever many you need today and freeze the others for future meals. Thaw in refrigerator before baking. These are truly greatest hits at our house and welcome leftovers for weekend picnic sandwiches. Melt butter in a saucepan. Add garlic and saute until fragrant. Gradually add heavy cream, stirring constantly. Stir in salt, pepper and grated Parmesan cheese and stir constantly until melted. Whisk in egg quickly and heat through. Seems like a VERY long time since I’ve sat and chatted here on my blog. The past 2+ years have been such a jumble of care taking others, the BIG “C”, multiple medical appointments, VA red tape and just plain messed up events that it seems life has gone on without me. Well, I’m here to tell you I’m taking my life back! I do have one more surgery to get through, but it is trivial in comparison to the past couple years. Fortunately my mom’s winter place is empty for the summer and near my doctors so we are here and able to get it spruced up for her before winter while we deal with everything else. The pool has also been a godsend for me to get some exercise and try to get my strength back. All the anesthesia has taken a toll on me! Right now we’re painting. The house is 5 years old and had never been painted other than by the builder so boy is it soaking up the new paint! If a messy kitchen truly is a sign of happiness, I must be freaking delirious! 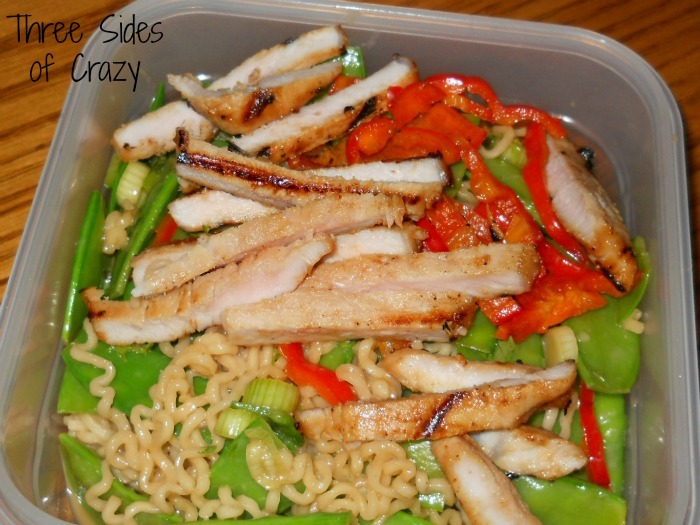 We are taking a break tonight and enjoying a new recipe for Peanut Pork and Noodles salad while we watch the Nascar race. I hope everyone had a great 4th and long weekend! In a small food processor combine dressing ingredients and blend until smooth. In a large ziploc bag combine pork chops and half of the dressing. Marinade for 15 minutes minimum. While chops are grilling bring a pot of water to a boil. Add ramen noodles for 2 minutes. Add peas and bok choy, boiling for 1 minute more. Drain and rinse in cold water. Place in large salad bowl. Heat grill to medium high. Grill chops and red pepper just until done, turning half way through. Transfer to a cutting board and thinly slice both chops and pepper. Toss salad with remaining dressing and salt. Scatter pork and peppers over salad. Leftovers (minus the bok choy) chill well and would make a perfect lunch to go. 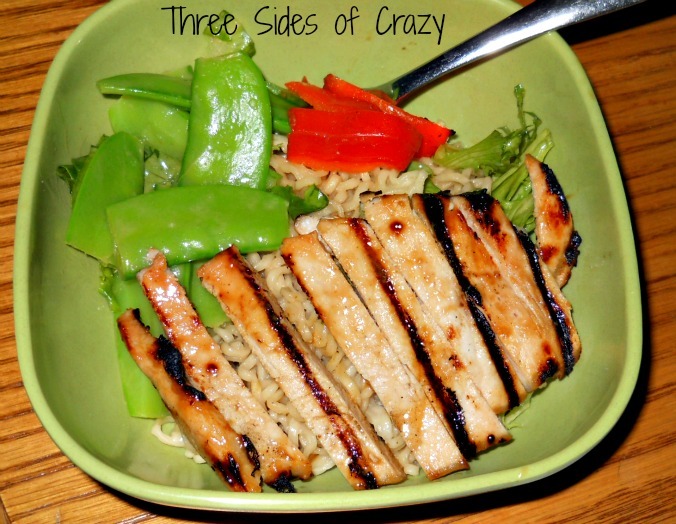 Just don’t add the bok choy, which in my opinion can be left out and double the peas for my taste. This recipe is from my mother-in-law. She tells the story that it was something she would make at the end of the month when funds were shirt because it was cheap. Cheap works though! 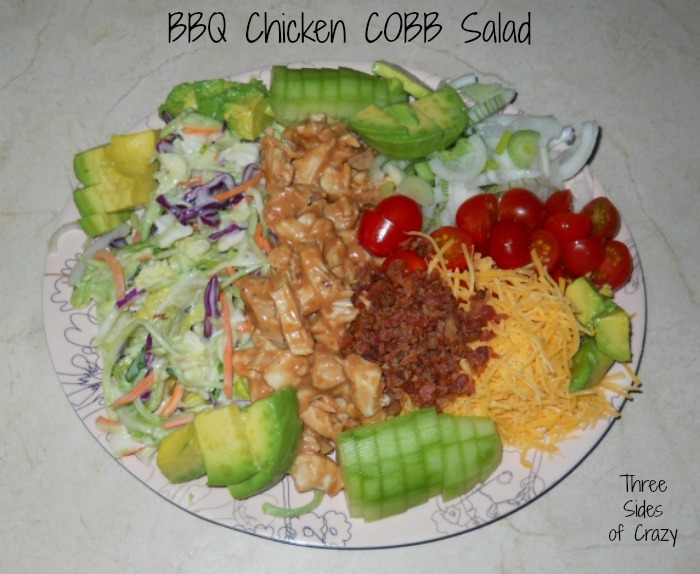 This is one of the most flavorful salads and always a family favorite. 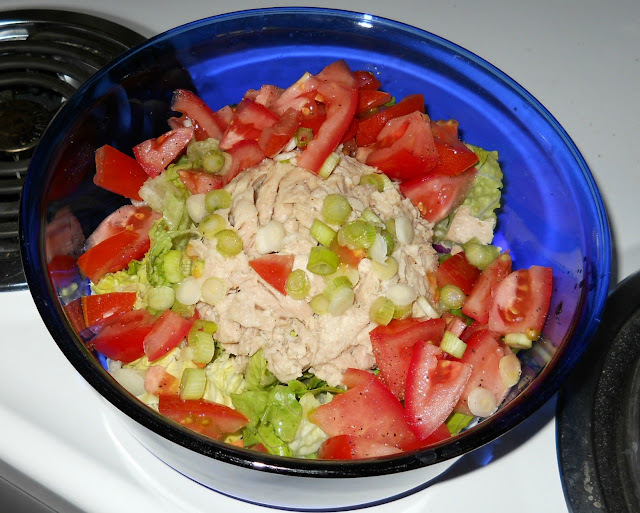 In a large bowl mix together the lettuce, green onions and tomatoes. Add the tuna and shrimp. Sprinkle lemon juice, salt and pepper over top and toss again. Add mayonnaise and toss well. 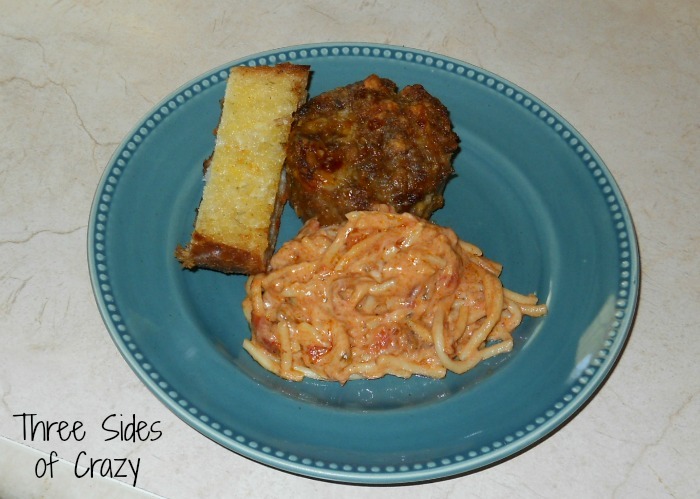 Top with Parmesan cheese and toss agin. Mix melted butter and olive oil. Dip tops of rolls into butter mixture and then into the Parmesan cheese. Broil until golden and crusty. 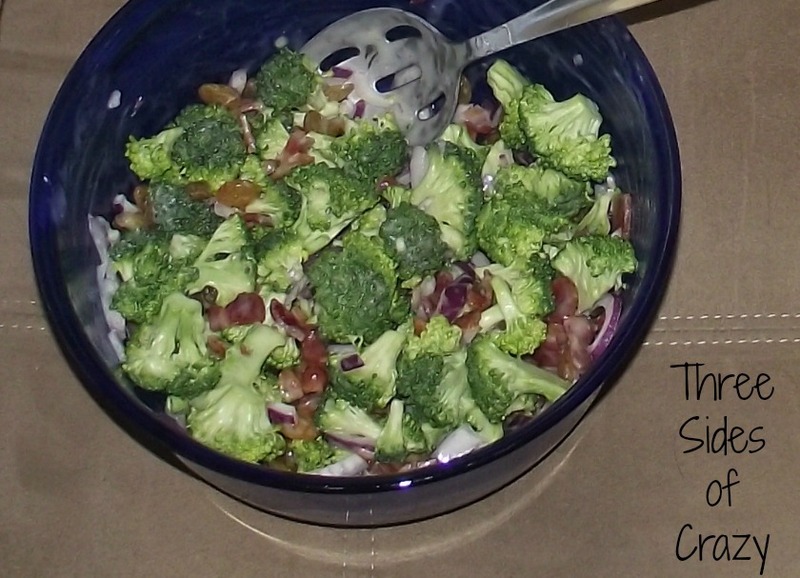 In a large mixing bowl toss the broccoli, red cabbage, onions, seeds, raisins and bacon together. In a small mixing bowl, blend the mayonnaise, sugar and vinegar together until smooth. Pour over the vegetable mix. Toss well and chill 24-48 hours before serving. *add another 1 1/2 cups broccoli florets if omitting cabbage. Wash lettuce, peas and tomatoes. Arrange on plate. Salt and pepper. 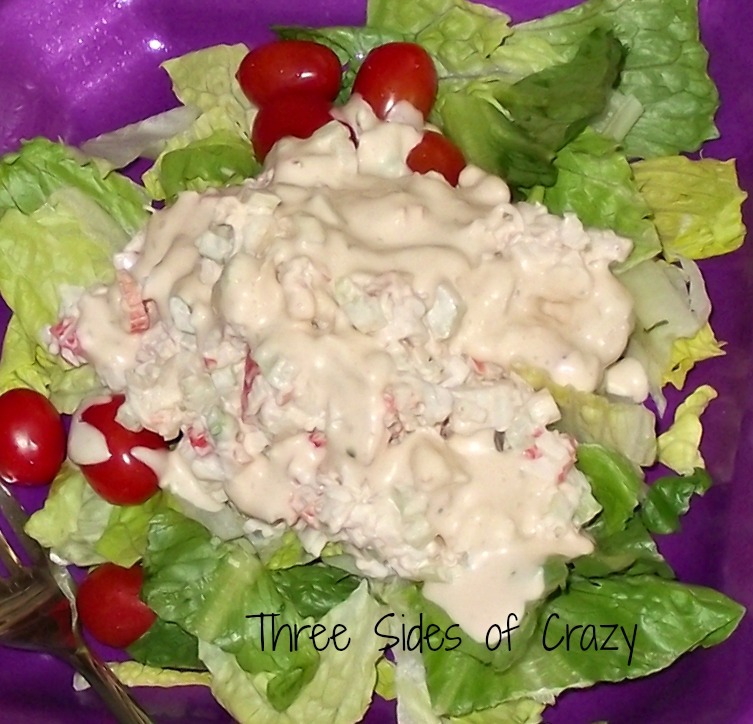 Mix crab, celery, onion, salt and pepper together until well blended using enough mayonnaise for desired consistency. 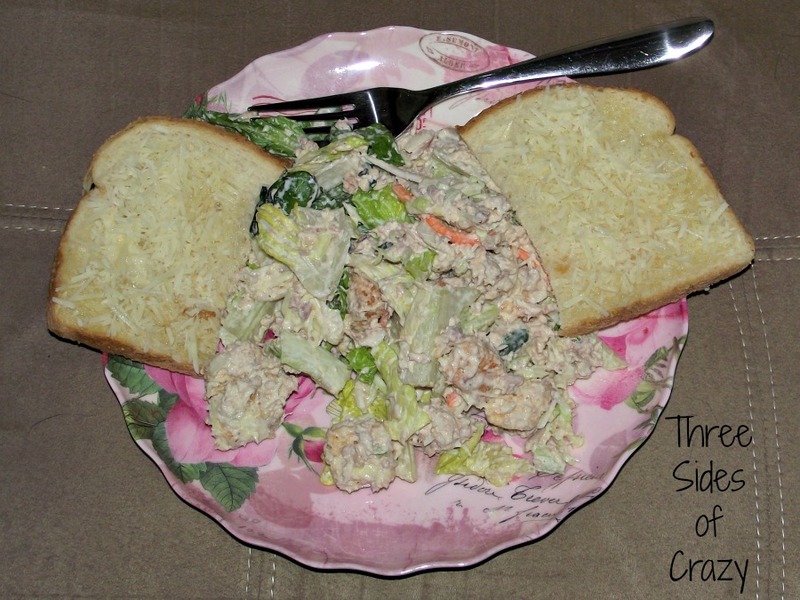 Place a large scoop of crab salad over the romaine mix. Serve over chopped romaine lettuce, sliced tomatoes and snap peas. In a mini blender blend all ingredients to desired consistency. He all but licked his plate and drank the rest of the dressing straight from the bottle. Many of you know that despite my normally always positive outlook on life I have not always been the healthiest of people. Years and years ago I began a life style change that would make today’s college student cringe when I was diagnosed with Systemic Lupus during college. I gave up processed food, fast food, drinking and excessive sweets. It worked! I was able to get off most medications, started feeling better and was able to live life to a fuller extent. I followed a stringent preventative schedule, got well woman exams, took my vitamins, followed a healthy diet and yet several years later was diagnosed with Ovarian Cancer. Miracle of all miracles and a volleyball sized tumor later, my wonderful surgeon got all of the cancer and I began to breathe AND live again as I recovered from surgery. During the surgery they discovered a Hiatal Hernia, but let it be since the cancer was more important. It was a long surgery with a 10 inch scar to remind me everyday how blessed I am to still be among the living. It was also a long recovery with a multitude of side affects along the way. 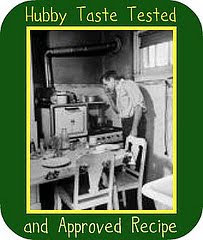 As I got stronger and began to live again, the Hiatal Hernia reared its ugly head and made me more and more miserable. The pain and side affects increased day by day and eventually led to a new surgery last June. This surgery was a Nissen Fundoplication that ended in stomach reconstruction when they needed to remove several inches of shredded esophagus and build a new valve. It also left me on a liquid diet for several months. Even after that I have been slowly adding food by food to test my ability to tolerate and digest certain foods – kind of like teaching a baby to eat one food at a time. Recovering from yet another surgery left me fighting for my strength and energy. Water Aerobics and walking became my daily friend and life saver. The first side affect that is really making life difficult is searing pain. Until recently I was seriously afraid the cancer was back. But after a recent CT scan I’m told there is no sign of recurring metastatic disease. Yet they did manage to find a few other things! DAMN it’s always something. FLD for one. What is FLD aka Non-alcoholic Fatty Liver Disease? Well it’s something I shouldn’t have given how well I eat! But, yet I have it. I will be going for a Cardiac CT scan in the near future to determine if my life is about to change yet again by adding a dreaded lifetime drug to maintain the FLD. Then comes the second of the side affects that bothers even more, my vision. After the first surgery one of the doctors mentioned that changes in my vision might happen and recommended not changing to contacts right away. 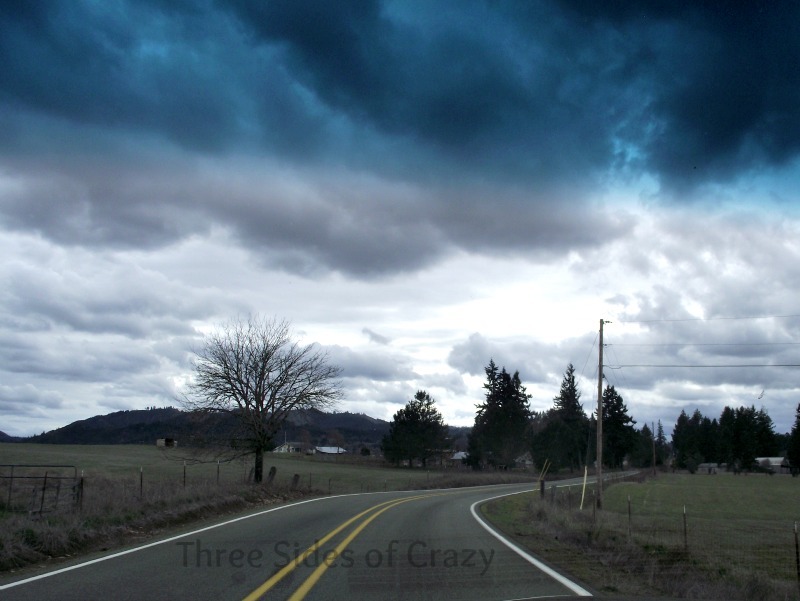 Unfortunately I did begin to see changes and my sight was getting worse, blurry and distorted close up. I recently met with a new eye doctor and was told I have a macular hole. Between the eye doctor, my primary and my new oncologist we all agree on one thing – there is NO good reason that these things are happening to me – I eat well, drink plenty of fluids, get plenty of exercise and rest. So here we go for more drastic changes. ALL my adult life my mantra has been about turning lemons into lemonade and some days I find it difficult to understand how it is even possible that the pitcher of lemonade is still half full and able to replenish itself. I do realize I would do whatever was necessary to stay healthy and be able to care for my family. I’ve been given a list of supplements to add to my diet, to eat even more fish, fruit, leafy greens and told to wear sunglasses ALL the time. The rest I’m choosing to do as I continue to deal with adding foods to my diet and dealing with new conditions that can’t be eliminated, but CAN BE controlled. Being removed from my diet on a regular basis is bread in general, red meat as a whole, fast food (what little I eat) and ALL processed food! 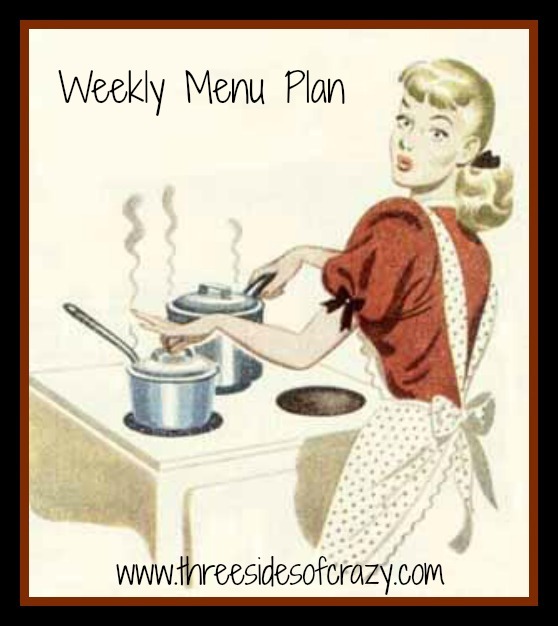 Now you might notice on future menus red meat recipes, but that’s okay as I won’t force hubby to adapt to my new ways all the time. Whisk together the mayonnaise and ranch dressing. Spread dressing mixture over the salad, sealing the salad underneath. Top with the cheese and then the tomatoes. Refrigerate 5-6 hours or overnight. 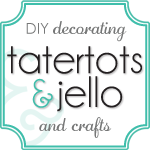 *If you are making this for a group, using a clear bowl makes a great presentation. 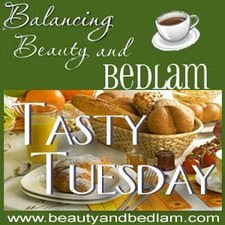 Tasty Tuesday is hosted by Jen over at Balancing Beauty and Bedlam. 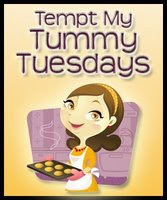 Tempt my Tummy Tuesday hosted by Lisa at Blessed with Grace. 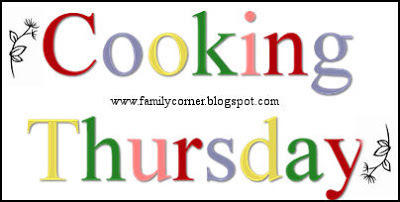 Cooking Thursday is hosted by Sandra over at Diary of a Stay at Home Mom. Valentine’s Day is a truly subjective menu. Not everyone wants or dreams of the same foods. 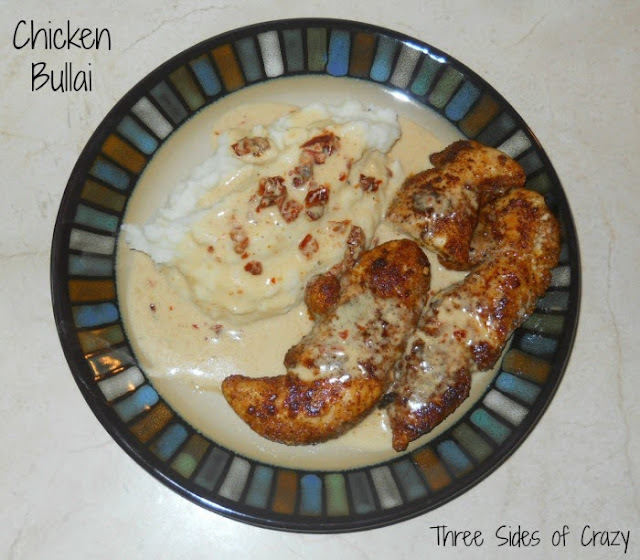 So, awhile back when we were just sitting around I quizzed hubby in a round about way and was able to come up with his favorite romantic menu to create a romantic meal. 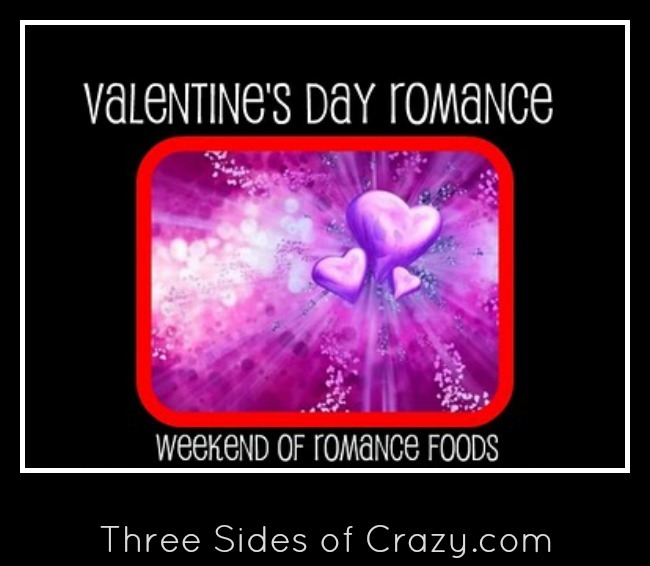 What are you doing for Valentine’s Day this year? Combine in a blender, ice, strawberry water, tequila, lime juice, Triple Sec and simple syrup. Pour into rocks glasses, garnish and serve. I use my mini food processor to mix it all in until well blended. Chill for a day or so before needed to allow flavors to meld together. Combine garlic, mustard, vinegar and two pinches of salt in a blender and mix thoroughly. Add mayonnaise and blend together to form a thick base. In a slow stream add oil. Scrape dressing with spatula into a bowl and season to taste with salt, pepper and lemon juice. Optional – Add anchovies to dressing to create a deeper, saltier taste. Place bread slices on oven rack and bake until dry and golden. Melt butter in flat bowl. Combine cheeses in flat bowl. Dip first in butter and the cheese mixture. Bake on cookie sheet 8-10 minutes until cheese is bubbly and melted. *If I’m in a hurry I will sometimes cut these ahead of time and toss with the butter and cheese which coats all the sides better. Pierce each steak with a marinater. Whisk together the garlic, oil, salt and pepper to taste. Place steak side by side of a large plate. Turn steak and make sure each is well coated. Take steak out of refrigerator an hour before grilling, turn several times making sure still well coated in marinade. Firmly press garlic pieces into the steak. Grilled to desired doneness – mmmmmmmmmmmmmmmmmmm, medium rare…. Bake potatoes in preheated oven for 1 hour or until done through. Meanwhile, place bacon in a large, deep skillet. Cook over medium high heat until evenly brown. Drain, crumble and set aside. When potatoes are done allow them to cool for 10 minutes. 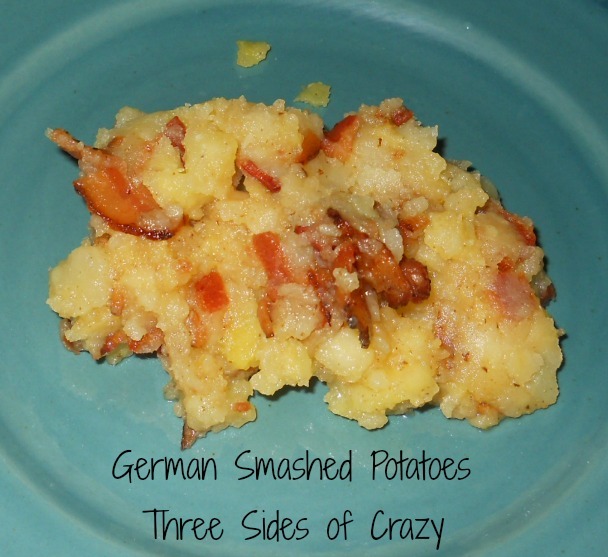 Slice potatoes in half lengthwise and scoop the flesh into a large bowl; saving skins. To the potato pieces add the sour cream, milk, butter, salt, pepper, 1/2 cup cheese and 1/2 the green onions. Mix with a hand mixer until well blended and creamy. Spoon the mixture into the potato skins. Top each with remaining cheese, green onions and bacon. Bake for another 15 minutes. Chop the apples and combine with just enough lemon juice to coat and prevent browning in large bowl. In a small bowl sift together the flour, sugar, cinnamon and salt. Fold in the sour cream, egg, vanilla and maple extract until well blended. Fold the sour cream mixture into the apples until well coated. Carefully pour into the pie shell, mounding towards the center. Toss together the topping ingredients until well blended. Sprinkle topping evenly over the apple mound. Lay the pieces of butter all over the top. Bake 30 minutes or until apples are tender. Best served with ice cream or fresh whipped cream. If you want to be really decadent try it with Caramel Sauce. Warm the milk in a small pan. Whisk the eggs with the sugar in a separate bowl. Slowly add the warm milk to the egg mixture while continuously whisking the mixture. Pour the entire mixture back into the pan and heat slowly, stirring continuously until mixture thickens to loose pudding texture. DO NOT BOIL! Let it cool to room temperature. Whisk in the cream and vanilla. Follow your ice cream maker directions for freezing. I just wish I’d taken a picture! 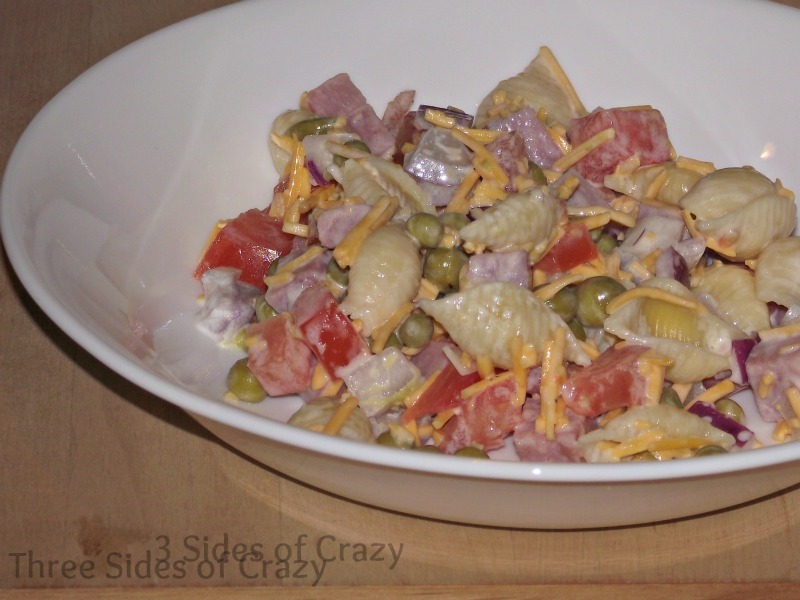 This jello salad recipe is just one of the many great recipes I have collected over the years from my mother in law. She loves to entertain and along with her wonderful meals she always has her table beautifully set with china, silver ware and the perfect choice of crystal bowls for her many varieties of salads. Mix the two boxes of jello powder together in a large glass mixing bowl and stir in 1 1/2 cups of boiling water. Mix well until jello has dissolved and them add 2 cups of cold water. -1 14 oz can crushed pineapple, drained but save the juice in a 1 cup measuring cup for step five. Mix together the three fruits and stir into partially set jello. Top the jello-fruit mixture with 1/2 bag mini white marshmallows and then put jello back in fridge. Whip together until thick, cover and place in fridge until step five is ready. Stir ingredients together in a microwavable bowl and heat for 1 minute at a time, stirring between until mixture is thick (2-3 minutes) You can also cook this on the stove top, stirring constantly. Cool this mixture completely and then fold in the whipped cream. Spread over the marshmallow mixture. For the final layer, use a very fine cheese grater and grate 3/4 cup of cheddar cheese on top. WHAT DID YOU BAKE TODAY?